Employer interest in hiring bitcoin, cryptocurrency, and blockchain roles is on the upswing again, after experiencing a downturn along with bitcoin market, but job seeker interest has yet to rebound, according to new data from job search site Indeed. Between February 2018 and February 2019, the share of job postings in these fields per million on Indeed increased by 90%. However, the share of job searches per million decreased by 67%, the data found. SEE: IT leader's guide to the blockchain (Tech Pro Research)Taking a longer term view, interest around bitcoin, cryptocurrency, and blockchain jobs is still up: When expanding the view from 2016 to 2019, the share of job postings in these areas increased by 4,086%, and the share of job searches increased by 553%, Indeed found. Job seeker interest in bitcoin, cryptocurrency, and blockchain jobs spiked around January 2018, when bitcoin prices were fluctuating, Indeed found. Demand for blockchain jobs has now outstripped candidate interest, the data shows, demonstrating that while the initial hype around these careers has died down for job seekers, companies are still looking to fill key roles including cryptocurrency analyst, cryptocurrency trader, and bitcoin full stack developer. In terms of location, the metro areas with the most job postings in these fields include San Jose, San Francisco, New York, Austin, and Seattle, the data showed. Blockchain jobs pay above the US median salary, a past Glassdoor report found: Open blockchain-related jobs on the site last year offered a median base salary of $84,884 per year. 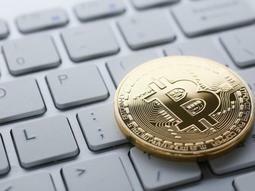 To learn more, check out these TechRepublic cheat sheets on blockchain and bitcoin. Francisco Gimeno - BC Analyst Checking which companies are posting blockchain related jobs we easily see the pattern: tech companies, big banks and the world´s big audit and financial management companies. There are, however, many other middle and small companies which are in need of blockchain skilled workers with very good salary and life conditions. A blockchain trade group is concerned that a patchwork of regulations in the United States will deter progress in the technology, and is asking policymakers to take action to “recognize and incentivize the development of blockchain solutions for government and industry,” according to a statement from the Chamber of Digital Commerce. The chamber, headquartered in Washington, D.C., released its proposals last week “calling on the highest levels of the U.S. government to embrace a comprehensive, national strategy for blockchain technology,” including a set of “guiding principles. ”The group represents more than 200 companies, including Cisco, block.one, BNY Mellon, TDBank, KPMG, PwC (PricewaterhouseCoopers), Microsoft and Ripple. Its lawyers committee members include such firms as Buckley; Cooley; Dentons; Debevoise & Plimpton; and Reed Smith. Amy Davine Kim, chief policy officer at the chamber, said in an interview Monday, “we are trying to make sure that blockchain is afforded the same weight and importance” as the development of the internet for commercial purposes more than 20 years ago. The organization, founded in 2014, is concerned that without such direction, U.S. leadership in the technology will fall behind other countries such as the United Kingdom, Switzerland, Singapore, the United Arab Emirates and Japan. 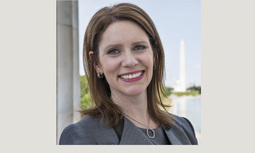 “We just want to ensure that the U.S. government at the highest levels promotes and supports this technology and to shine a light on all it can do for government, for business and for consumers,” said Kim, who formerly was an attorney at Buckley and Patton Boggs, now Squire Patton Boggs, where she advised on cross-border transactions and U.S. regulation. The report said “most public statements regarding virtual currencies in particular have been in the form of advisories, warnings and enforcement actions.” The group wants the government to make a “clearly articulated statement” of support for development of blockchain technology and its positive applications. Kim said the plan has received positive feedback from agency officials in the federal government and others since its release. The plan was presented to the Commodity Futures Trading Commission and the Consumer Financial Protection Bureau earlier this week. Some of the other applications of distributed ledger technology, which includes blockchain, are payment systems, medical data transfer, health care benefits administration and supply chain management. For instance, blockchain could have helped authorities quickly identify the source of tainted lettuce in a recent recall, eliminating the need to discard tons of produce because of an inability to determine the origin of a shipment with precision, Kim said. Walmart recently has started using blockchain for that purpose. Francisco Gimeno - BC Analyst While Europe and some Asian countries are already developing some national and continental strategies for blockchain development in economic sectors, USA is lagging behind. Meanwhile, US tech companies go their own path researching and trying use cases. According to the company, early adopters of the Kaleido Marketplace have eliminated 80 percent of the custom code required to build their blockchain project, saving time and energy to focus on what comes next.The full-stack platform includes plug-and-play tools from Kaleido, Amazon Web Services, and third-party developers. A survey conducted by PwC in August 2018 found that 84 percent of executives said their companies were “actively involved” with distributed ledger technology. The announcement, made at the Web Summit in Lisbon, shows how ConsenSys is at the forefront of enterprise blockchain solutions.The firm has recently made the news for partnering with ING Bank, Citigroup, MUFG Bank, Societe Generale, BNP Paribas, Credit Agricole, Koch Supply & Trading and Shell, to create an ethereum-based platform via a new firm called Komgo. Souleïma Baddi, its CEO, said the company uses the marketplace to select the best protocols in development and use existing building blocks for an optimized solution. OpenZeppelin 2.0 is here, and this framework will help reduce your vulnerabilities. What’s new in this release? If you’re new to the world of building smart contracts or a seasoned veteran, where should you go from here? Time to see what’s under the hood in this new release (while we try very hard not to make Led Zeppelin references). When it comes to smart contracts, can you ever be too secure? The smart contract library OpenZeppelin hit its 2.0 milestone. Its new stable release has some changes that will make smart contract development easier and more secure than ever. Despite the similarities, beware the steep learning curve. Since programming in Solidity is still fairly new, even experts are still trying to hammer out some of the issues and discover where they left a backdoor open. However, OpenZeppelin makes sure you are not alone on this endeavour and wind up dazed and confused. It is a library that runs on EVM and eWASM-compatible blockchains (these include Ethereum and RSK).As its name suggests, it is an open source project under the MIT License and can be found on GitHub. 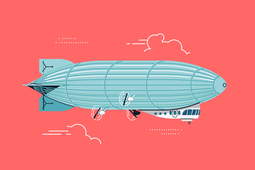 According to the Zeppelin developer blog, “The project now has more than 150 code contributors, with many, many more helping with issues, support and reviews.”If you’re looking for an open source project to climb aboard and help contribute a whole lotta love, perhaps this is the one for you? Have a look at the issue board! Automatic testing. Why wait? As you code, OpenZeppelin tests it in the newly improved test suite. High-security. Interested in the details? The security audit is available for your perusal. Many thanks to the LevelK team who fixed the security issues! More about that on GitHub here. New granular permissions with a granular role system. Of course, all new updates come with assorted bug fixes and renames. As always, see the changelog for a full comprehensive list. Removed contracts that did not match the new level of security. The Blockchain Technology Conference comes to Berlin from November 19 to 21, 2018. Featuring sessions and workshops for both newcomers and seasoned veterans of the trade, it offers something valuable for everyone. Need to know about frameworks, Ethereum fundamentals, building a library, or wallets? The program has it all.Even if you cannot make it to the conference, download the Blockchain Technology Whitepaper for some expert development advice. PricewaterhouseCoopers is developing blockchain technology to help clients validate transactions as they deal with possible risks. The past spring, PwC debuted a Blockchain Validation Solution to help authenticate transactions for clients. “We are doing the validation of the transactions, so we will do it as an operational service in a non-audit client,” said Vicki Huff Eckert, global and U.S. new ventures leader at PwC. “We will not do it as part of our traditional attest external audit business. The validation tool is really about the operational audit, the entire control framework around it, and how companies gain comfort with the transactions that are processed versus the actual financial validation and external audit of financial statements. ”Blockchain has been spreading beyond cryptocurrencies like bitcoin and ethereum to other applications for distributed ledger technology. Earlier this year, PwC surveyed 600 executives in 15 territories and found that 84 percent said their organizations have at least some involvement with blockchain technology. More than half the respondents reported blockchain research and development in progress, and 15 percent indicated they have live implementations.PwC has published a white paper on blockchain governance describing Blockchain Risk and Control Framework to help companies identify risks before implementation begins and develop an audit trail for blockchain. The firm’s clients are using the Blockchain Validation Solution for purposes such as legal risk management and internal audits. “It’s those teams that are trying to gain comfort around the activity that’s occurring on their proof of concepts, and we’re working with them on how they do it, using the tool and using the framework,” said Huff Eckert. “It’s a rules engine, so what we do is we will work with the company as they set up their blockchain environment. The scope is for permissioned exchanges, and we’ll set up a rules engine. We actually put a node on the blockchain to validate the transactions that are being recorded, so they will validate it based upon the rules to test to. ”For example, if four or five companies are supposed to be part of a particular blockchain environment for some type of digital asset, PwC will validate that the transaction is going to one of the five within that permissioned network. “We will actually put into the rules engine how to make sure that the company processing on there is in fact one of the approved companies, and that the transaction in fact has the same operational metrics, so it’s a real-time audit tool,” said Huff Eckert. The firm sees blockchain as one of eight essential emerging technologies, including artificial intelligence, augmented reality, drones, internet of things, robotics, virtual reality and 3-D printing, with important implications for businesses today. “We look at all eight of those as a team in my group and we are constantly thinking about how do they impact everything from audit to tax to our consulting business, and how are we leveraging those emerging technologies in what we do but also in how we’re engaging with clients,” said Huff Eckert. “We will think about how to use drones, as an example, in looking at inventories, or how to use augmented reality in training individuals. ”Blockchain with its distributed ledger technology has particular implications for accountants. “The concept of decentralized ledgers is something that I think is extremely disruptive, both opportunistically as well as challenging to the accounting industry, but I do think it’s something you’ll see more of,” said Huff Eckert. Blockchain is a technology that makes it possible to build applications where multiple parties can record transactions without the need for a trusted, central authority to ensure that transactions are verified and secure. Blockchain enables this by establishing a peer-to-peer network where each participant in the network has access to a shared ledger where the transactions are recorded. These transactions are by design, immutable and independently verifiable. AWS gives you access to flexible and cost-effective resources to quickly deploy and experiment with blockchain networks in minutes, and pay only for what you use. Multiple parties can transact with one another without having to know or trust each other. All transactions are attributable to one or more entities and each entity can independently verify these records. Transactions cannot be removed or altered. Blockchain networks can be restricted to known parties, and can also limit what transactions each party can see. Blockchain networks are decentralized and do not have a single point of failure. Quickly get started with blockchain. Spin up and spin down resources as you rapidly iterate in the cloud. Experiment with your choice of blockchain frameworks such as Ethereum, Hyperledger Fabric, Corda, and partner solutions for your industry. Consume services as you need them and only for the period of time you use them. AWS has no upfront fees, termination penalties, or long term contracts. Control access to your AWS resources with granular permission polices. All resource activity is logged in AWS CloudTrail. AWS Blockchain Templates provides a fast and easy way to create and deploy secure blockchain networks using the popular Ethereum and Hyperledger Fabric open source frameworks. These are AWS CloudFormation templates that automate the creation and configuration of blockchain networks on Amazon EC2 or Amazon ECS. Get started now. AWS Technology and Consulting partners offer a rapidly growing selection of blockchain and distributed ledger solutions with support for multiple open-source frameworks. T-Mobile is building a digital identity and authentication platform on AWS with Sawtooth, a blockchain technology from the Intel Hyperledger project. 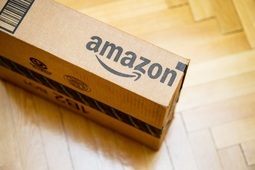 T-Mobile leverages Intel Sawtooth along with AWS services including Amazon EC2, Amazon S3, Amazon Lambda, and Amazon ECS to power this solution. PwC has been working with Guidewire, one of the world’s leading insurance platform providers, to make the bordereau process more efficient. They use a blockchain-based smart contracts solution to auto-approve claims and trigger payments, removing the need for manual intervention, and differentiating their product in the insurance market. Blockchains can serve as an immutable data source to track goods through their lifecycle from raw material to the field, and to facilitate transactions involving these goods with their customers and dealers via smart contracts. Blockchain networks enable multiple parties to directly transact without requiring a central authority. This has the potential to increase the efficiency of clearing, settlement, cross-border payments, and other financial transactions that typically require an intermediary. Blockchain networks can be used to track identities and maintain compliance. The data in a blockchain is transparent and immutable which enables auditors to verify transactions independently and protect against internal security threats. Blockchain based smart contracts can auto-approve claims and trigger payments, removing the need for manual intervention. This has the potential to automate claims management processes, reduce errors, and reduce fraud by verifying customers, policies, and claims. Healthcare organizations are looking at blockchain solutions to improve data sharing across various entities in healthcare. This can help improve patient wellness, reduce fraudulent billing, lower administrative costs, and manage provider credentials and affiliations. Mainstream adoption of blockchain and cryptocurrencies is being held back by the lack of programmers and developers, an expert said. Francisco Gimeno - BC Analyst We already know there is a bottleneck in the industry due to the lack of programmers. However, I don't believe this is the main cause for the slow adoption of blockchain and cryptocurrencies. The movement needs also visionaries, business leaders who dare to risk, educators, etc which, together with those focused on the technology create the proper awareness in the society to adopt it. Evangelizers plus developers and programmers are the tip of the spear. What do you think? 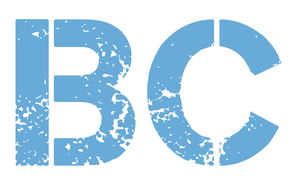 Samuel Santos Sales & Growth Marketing at BC Blockchain is a digital ledger that provides a secure and public way of making and recording transactions, agreements and contracts; its best-known use is bitcoin, the virtual currency. As head of human resources for a rapidly-expanding company within the blockchain industry, I am constantly faced with a variety of challenges that are unlike any I’ve encountered in my nearly 10 years of experience working in the corporate and financial sectors. Very early on, I realized that finding top professionals for this exciting, yet uncertain, space was going to require more than just an average hiring rubric, and assembling an efficient and collaborative team was going to require careful due diligence and thoughtful consideration. How can you effectively hire for an industry that’s just beginning to formalize its policies, and what job-specific skills do you look for in potential candidates that have never heard of blockchain? Over the past year, with the help of two top-notch technical recruiters, my team has hired 78 industry professionals, with 40 hired in the past three months. While this is certainly fast-paced growth, it’s not unprecedented. In fact, there has been a 320 percent growth in the number of blockchain jobs offered on popular hiring sites in the past 12 months, with a 52 percent increase in blockchain-related job searches from June to November 2017 alone. The industry as we know it is changing, and companies are looking for bright, engaged, professionals from an array of different industries and career stages to provide their expertise. The following is a brief overview of my experiences, as well as my take on how other blockchain companies can compile an expert team in the most exciting and innovative field since the dawn of the internet. This past year has been overwhelmingly referred to as the “golden year of blockchain.” What was once an industry comprised of small-scale startups with largely unstructured teams has since flourished into a global industry with a current market capitalization of $269 billion. This is certainly promising news for the future of blockchain, but for HR professionals it means hiring top talent is surprisingly difficult. And that means it’s difficult to scale. With rapid fluctuations in the space due to hyper-expansion and regulatory formalization, it’s becoming harder to ensure that prospective candidates have the necessary experience to understand the shifting requirements.In setting substantive recruiting expectations, I recommend starting from a standpoint of company culture and engagement. Does this candidate fully understand the current climate surrounding the blockchain industry, or, perhaps more importantly, do they understand the mission of the company? Do they have any relevant experience in the blockchain industry? And, if not, how has their prior experience prepared them to take on this upcoming role? These are some of the first questions I’ll ask in any interview.As the industry begins to gain mainstream momentum, hiring top candidates with blockchain expertise will become less of a rarity. However, for the time being, finding individuals with a deep-seated understanding of the company’s mission, as well as a demonstrated interest in blockchain and cryptocurrency, is a far more achievable metric. As with any team, there’s certainly a learning curve, and rejecting candidates simply for their lack of experience could result in losing highly-qualified individuals. For most HR departments, building out a team is a formulaic process. Managers hire their direct reports with approval from senior executives. This is certainly true for blockchain companies. However, as startups begin to transition into fully-realized companies, new positions become necessary that might not have been pertinent six months ago. Service providers with soft skills, particularly in the communications, legal, and marketing practice areas, are excellent examples of this. Of course, key skills needed as a startup may no longer be required for the next phase of growth so companies have tough decisions to make. In anticipation of new positions, in new departments, in new regions of the world, HR professionals should set up a precautionary hiring policy that establishes where incoming service providers will fit into the overall company structure. Similarly, as blockchain companies continue to expand, HR professionals will need to ensure that internal protocols, including onboarding, performance reviews, and training programs, grow to meet the heightened demand. Regardless of size or scale, every incoming person should feel adequately prepared for their given position and understand the requirements expected of them. This cannot be overstated. Without a crystal ball, it’s impossible to accurately predict what the future will hold for blockchain. The industry is on an unprecedented trajectory, the likes of which even the most optimistic crypto experts could not have anticipated. For HR professionals, this ambiguity can present itself as a daunting and intimidating process. However, I urge you to think of it more as an opportunity — to use this “Greenfield Site” to find top talent, create a team of experts in their field from around the globe, and foster the next generation of crypto specialists. At my company, for example, we are working with education and research programs — establishing the Blockchain Technology Laboratory at the University of Edinburgh, establishing an Input Output Cryptocurrency Collaborative Research Chair within the Tokyo Tech School of Computing, and providing the ‘Haskell & Cryptocurrency’ course to students in Athens, Barbados, and soon in Ethiopia. This lets us take our candidate search directly to the classroom, informing students about the promise of blockchain and inspiring them to solve real-world problems in this space. The goal of our training courses is to extend the computer science training of participants and introduce them to Haskell, an elegant functional programming language, in the context of the cryptocurrency industry. At the end of each course, students are given the opportunity to apply for positions and continue their professional career in Haskell. Through education programs like these, we have a unique opportunity to reach an untapped pool of global candidates, as well as to inform and inspire their future relationship with blockchain. As HR professionals in the most fast-paced industry in the world, it’s our shared duty to find and cultivate collaborative teams, as well as to create an environment conducive to their long-term success. Amid such rapid expansion, it can be easy to lose sight of the qualities that make an effective team member. However, with a clear vision, careful planning, and an acute attention to detail, not only can we turn once lofty ambitions into a concrete plan of action, but we can find top talent in a variety of industries to help us along the way. Tamara Haasen is Head of Human Resources at IOHK. Francisco Gimeno - BC Analyst This is a beautiful article. Doy you want to hire? You want to work in Blockchain? Read this to understand that this new technology needs a whole new understanding process both for the company and for the personnel. What is needed now is a commitment with a vision, a process, and an opportunity to be at the core of a transformational movement. Skills, studies are very important, but more is the clear vision, a conduce environment and adaptability. Presently, France is creating a legal framework for initial coin offerings, which is expected to be finalised next year. The world of cryptocurrency is inviting various views and this time, a new warning has been issued by France’s financial markets regulator, The Autorité des Marchés Financiers (AMF). 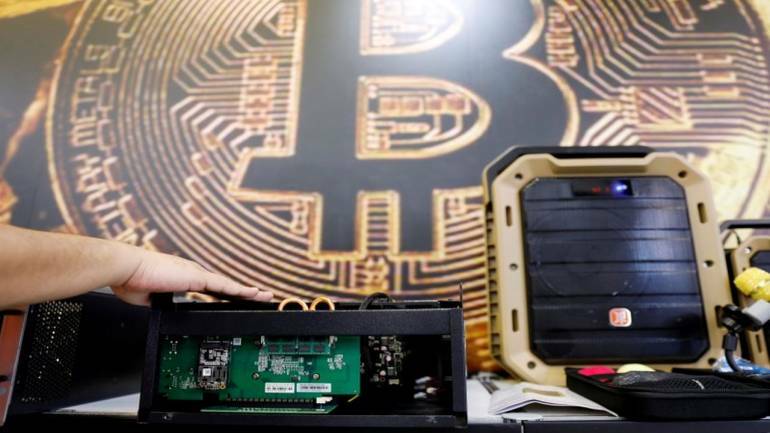 It has cautioned its citizens against various business entities operating crypto trading business without the government’s consent. However, at the time of this writing, AMR brings it to the notice that connect-coin.fr is already offline. The other three are still live but all traffic of solution-crypto.com is redirected to solutioncrypto.com. Presently, France is creating a legal framework for initial coin offerings (ICOs), which is expected to be finalised next year. Clamping down on bitcoin derivatives was started by the agency in February. The tax rate on crypto capital gains was slashed in the country from 45% to 19% in April. The AMF being an independent public authority, is responsible for ensuring that savings invested in financial products are secured. Law no. 2016-1691 on transparency states that – No investment offer can be directly marketed in France without a registration number or seeking prior consent from the AMF. Previously, the AMF had published a list of 15 websites offering crypto investments without authorisation. Three lists of unauthorised websites are maintained by the regulator – one for Forex products, one for binary options, and one for other goods including diamonds, wines, and cryptocurrencies. The agency started keeping track of blacklisted sites in July last year and began including crypto sites in December. Francisco Gimeno - BC Analyst France announced no so long ago a Blockchain revolution. Ordering and regulating the ecosystem is a need to start it. European blockchain and crypto start ups are looking very carefully to France to work together with the French administration as much as possible. Leave it up to a cryptocurrency company named Ripple Labs to be at the center of a lawsuit with potentially wide-reaching consequences. 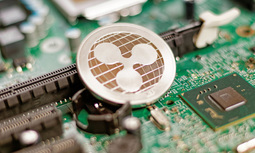 In May 2018, Ripple Labs was hit by a securities class action filed in the San Francisco Superior Court and brought by Ryan Coffey, an investor in the company’s XRP cryptocurrency. The lawsuit argues that, because of past SEC comments and the way XRP is distributed and managed, XRP is a security and as such is in violation of federal securities laws. The lawsuit is unique in the cryptocurrency scene, where the most cases revolve around fraud allegations or the legality of certain initial coin offering (ICO) “token-presales. ” A favorable ruling for the plaintiffs in the class action could likely have repercussions for how other cryptocurrencies operate in markets for years to come. Ripple Labs has much on the line. If its XRP cryptocurrency is found to be both a security and in violation of Section 5 of the Securities Act of 1933, which mandates that securities must register with the SEC and be offered on a registered exchange, all purchases of XRP would come to a halt. “If they are not registered securities, if they are not listed anywhere, the general public cannot invest in them,” said Marc Elovitz, partner and chair of the Investment Management Regulatory & Compliance Group at Schulte Roth & Zabel. But that may be the least of Ripple’s problems. After halting XRP exchanges, there is then the question of “whether the people who purchased the securities offering have the right of rescission, meaning they can go back to the company and say, ‘I bought this thing from you under false pretenses, and therefore I want to rescind my purchase, and I want to get back the money I paid for it,’” he added. What’s more, should the lawsuit succeed, the company and its leadership may also face criminal charges. If XRP is a security, “Ripple labs and its CEO may have violated the Securities Act of 1934, because they should have been registered as a broker dealer,” said Sara Crovitz, partner at Stradley Ronon, who was a former deputy chief counsel and associate director at the SEC. To be sure, XRP operates much differently than other cryptocurrencies like Bitcoin or Ether, both of which William Hinman, director of the Division of Corporation Finance at the SEC, said in a June 2018 speech should not currently be defined as securities. Though the SEC cautioned that Hinman’s speech didn’t reflect the agency’s views, Crovitz noted that “people can take that [speech] to be a pretty clear signal of what the commission thinks as well. ”While individual units or “coins” of Ether and Bitcoin have to be mined on the blockchain by individual users to become actualized property, all 100 million units of XRP are already in existence. And, according to Fortune Magazine, 61 percent of all XRP units are still owned by Ripple Labs—their original owner—which has been slowly selling cryptocurrency to the public over several years.While the centralized XRP offering allows Ripple to directly profit, it also exposes the company to potentially high rescission liabilities. The Securities Act of 1933 does allow some securities exemptions from having to register with the SEC or operate on registered exchanges. But Sam Waldon, partner in Proskauer Rose‘s litigation department, notes it’s far from certain Ripple could obtain an exemption. “My sense is that, if there is a strong argument that it is a security, it is going to be tough to establish there is an exemption from registration. ”But even if XRP did get classified as an exempt security, it would still face certain restrictions. Waldon notes that “most of the exemptions prohibit general solicitation” meaning Ripple could not advertise or promote. More important, “almost all the exemptions require you to sell your securities to sophisticated accredited investors who are very well off,” Waldon added, meaning XRP would be barred from being sold to the general public. One big factor for determining whether XRP is a security will likely be the centralized nature of the cryptocurrency’s offering. Stephen Aschettino, chair of the payments technology group at Loeb & Loeb, noted SEC director Hinman’s speech hints that decentralization is “one of the more important of the Howey four factors” for assessing if a transaction is a security. Aschettino was referring to the “Howey test”—a standard set forth by the U.S. Supreme Court in SEC v. Howey that defines an “investment contract,” essentially a security, around four distinct characteristics. Under Howey, a transaction is a security if it is an investment of money, has an expectation of profits, if said profit comes from the efforts of a third party and if the investment of money is in a “common enterprise,” which is the factor where decentralization comes into play. It’s not clear a court would place emphasis on one Howey factor over another. But, should a court rule against Ripple in this lawsuit, it would set a potentially seminal precedent about how to go about determining whether cryptocurrencies are securities. “It will be judicial opinion that will be precedent going forward,” Waldon said, noting the court may even rely other tests outside of Howey in its determination. A court ruling could have wide impact because, the lawsuit has been shifted out of the California State Court to the U.S. District Court for the Northern District of California, meaning the precedent could be more widely applied. Also, Ripple Labs faces a similar class action lawsuit in California that aims to classify cryptocurrency as a security.Some attorneys, however, believe it is unlikely a ruling will come down in the federal case. “The likelihood is that any class action like this will not be decided by a court,” Schulte Roth’s Elovitz said, noting that most class actions settle out of court. Elovitz also believes it is more likely for the regulatory environment to change before a court even hands down ruling in this case. “Regulators, even though they haven’t resolved a lot of these issues yet with cryptocurrencies, they do generally move faster than the courts.”It’s unclear how regulators may act, however, in light of the fact that classifying some cryptocurrencies like XRP as securities would fundamentally alter how they were designed to work. Daniel Fuke, a partner working in the Securities and Mergers & Acquisitions group of Toronto-based law firm Fasken, noted that, while there is an upside to regulating cryptocurrencies as securities, doing so may be ill-suited to such nascent products. “In my opinion, classifying digital assets as securities achieves greater investor protection, but also forces issuers to comply with rules that were not designed with digital assets in mind,” he said. Francisco Gimeno - BC Analyst Very interesting case here. On the one side, the need to protect investors and the system. 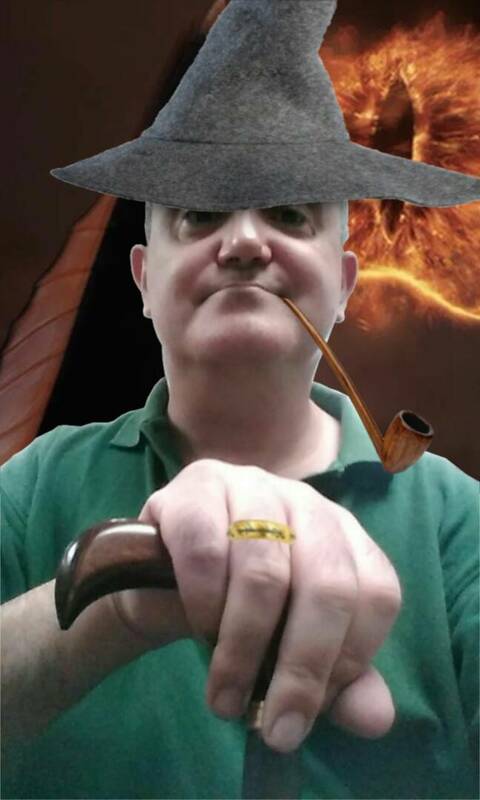 On the other, the nature of a new fast changing technology which challenges the statu quo, and which, being outside of the legal financial existent regulations, doesn't mean that is ilegal, only just alegal. This is more than a normal case. It is an important one as it may make the Law and regulators try to adapt to the new crypto assets situation. However, we live in strange times, where the new generations are teaching the old ones, while the threads of power continue in the hands of those who find very difficult to grasp this fundamental change of paradigm. We have to wait and see, while also being proactive to spread the change, like we do here in this website and our social media. What do you think? The blockchain technology enables new business models and processes. As for every technology which breaks new land a solid legal analyse is indispensable. The developer must be aware of all relevant restrictions and standards, which must be fulfilled to successfully bring the project off the ground. According to the EU General Data Protection Regulation (GDPR), which is entered into force on May 25th, 2018 the non-compliant organisation or person can also be faced with heavy fines and compensation and liability payments toward any person who has suffered material or non-material damage as a result of an infringement. Even if developers of a blockchain project are usually neither controllers nor processors, they should consider the data protection aspects in the software design process. Non-compliance with data protection regulations can jeopardize blockchain projects and business models by orders from data protection authorities. How can a developer avoid pitfalls? Generally, you should make sure that the project complies with the highest standards. As the blockchain is global by nature, we recommend the GDPR as standard. The EU legislation is generally user friendly, however, sometimes difficult to comply with.Under the GDPR personal data are defined as information which are related to an identified or identifiable natural person, whereas a person is considered as identifiable if there are means reasonably likely to be used for identification by the data controller or any other person. Even though information on the blockchain are pseudonymised, as soon as blockchain transactions are combined with off-chain goods making a connection between the pseudomysed data and the data subject is possible. In pure on-chain-transaction models, identification will be more difficult, however, not impossible. Therefore, in general there is a strong case for arguing that individual-related information on the blockchain is personal data. The main issues for the blockchain technology with regard to data protection are the rights to rectification and to be forgotten as provided in Art. 16 and 17 GDPR. First of all, there is no data controller in a public blockchain since the blockchain is decentralized. In most cases the miners cannot determine the content of the blockchain. Therefore, it is unclear, who could fulfil data subjects’ claim of rectification or erase. Secondly the blockchain architecture may technologically even preclude a simple rectification/deletion upon request by the data subject, since the data stored on-chain cannot be altered without acceptance of other nodes. Having these challenges in mind, already at an early conceptional stage, privacy issues should be on the agenda of the architects and developers of the blockchain project. The earlier your team deals with privacy issues the lower is the risk that a blockchain application must be adapted or even rebuilt. The GDPR requires also privacy by design and by default. Privacy by design and default means implementation of appropriate technical and organisational measures for ensuring that, by default, only personal data which are necessary for each specific purpose of the processing are processed. Possible technical measures to ensure data protection are secure multi-party computation, chameleon hash functions, codifications and zero knowledge proofs. Furthermore, the GDPR requires in some cases (1) prior to the processing a Data Protection Impact Assessment (DPIA). DPIA is a process designed to describe the processing, assess the necessity and proportionality of a processing and to help manage the risks to the rights and freedoms of natural persons resulting from the processing of personal data. DPIA is an important tool for accountability. It helps controllers not only to comply with requirements of the GDPR, but also to demonstrate that appropriate measures have been taken to ensure compliance with the regulation. DPIA is, therefore, a process for building and demonstrating compliance. (2)But also once the project is running a careful developer must monitor the “legal climate” and how authorities deal with privacy and other issues on the blockchain. The issuers must be ready to answer all questions and give the necessary assurance to authorities. An efficient way to ensure that all Data Protection requirements are met is to get privacy certificates (such as the ePrivacy seal; www.eprivacy.eu). The blockchain technology is still in its infancy and not all legal questions are clarified yet. Consequently, it is very important to have an eye on the development of the legal environment, especially regarding data protection issues, and be ready to implement changes as fast as possible. In the long run, will the data protection not only have an impact on the success of the project but also have a negative or positive impact on the value of any token. Francisco Gimeno - BC Analyst Interesting article on data protection compliance. Start ups with good ideas and products can fail because they don't comply with regulations, even in these Blockchain times. Regulations help to protect everyone and everything, if user friendly. Albert Einstein may have passed away almost a century ago but his gravitational waves still live on – and not just in science, but in the world of blockchain too.Two years ago, after failing to keep his other investments afloat, Sasha Ivanov – also a theoretical physicist – took a business risk and the Waves platform entered the space. Named after Einstein’s most famous discovery, the open-source blockchain platform allows users to launch their own custom cryptocurrency tokens.The cryptocurrency market is primarily a faceless one but Sasha says: “What’s made the business successful is it’s very community-based and we have to actually work with people. Sasha Ivanov – founder and CEO of Waves platformAs well as providing the platform for creating cryptocurrency tokens, Waves is used for storing, trading, managing and issuing digital assets “easily and securely”.It helps start-ups to raise an ICO (initial coin offering) – a crowdsourcing exercise in which funds are raised for a new cryptocurrency venture. The company itself was launched through crowdfunding in June 2016 for 30,000 Bitcoin (BTC) – then worth $80m (£60m) – making it the second-largest successfully crowdfunded blockchain project that year after crypto powerhouse Ethereum.Things moved quickly for the Russian-based company, which now has a market cap of $1.7bn (£1.28bn) as of December 2017 – making it the second-largest successfully crowdfunded blockchain project, after Ethereum. Waves has subsequently developed into one of the world’s largest tech communities and formed partnerships with a variety of renowned international organisations, such as Binary District – a collaborative tech community that runs educational programmes and events themed around technologies like blockchain. Another collaboration is with Russian-based venture capital and private equity company TMT Blockchain Fund to work on an infrastructure project.The partnership between the two companies will be focused mainly on blockchain and fintech, including large decentralised applications, as well as private blockchain infrastructure opportunities. “TMT Fund is one of the first funds that is exclusively launching equity totals. It’s going to be compliant with regulations and we are glad to help it achieve its goals. Taking the blockchain world by storm, Sasha recently announced another new grand-scale project called Vostok.It will create the world’s first usable blockchain solution for scalable digital infrastructure, helping to expand the global accessibility of blockchain. Vostok – named after the craft that carried Yuri Gagarin into space – will help organisations enhance security, data storage, transparency and stability of their systems.It can be used for processes such as, banking services, payment systems, land registries, electronic voting and more. It will be able to handle 10,000 transactions per second (TPS) at just $0.000001 per transaction, which is a faster, cheaper and more efficient way than the current blockchain solutions.In comparison to Bitcoin, it has transnational processing capacity of three to six TPS and costs $0.951 per transaction. Sasha says: “It’s a spin-off from the Waves platform and I think could be a huge success. “It’s going to be more focused on enterprise, which is a big business.“We are going to be offering big, robust solutions for enterprise in the public sector because everyone could benefit from some kind of blockchain solution. ”Sasha wants to launch with dozens of large businesses and government organisations, and is already in talks to with some of them to use the technology. Waves has offices in Russia and Amsterdam, with 90 staff, but has plans to go worldwide.“We are branching out and opening offices all over the world,” says Sasha. “Firstly in the UK, we are going to have an office in London by the end of the summer. “We also planning to open an office in New York.“We have Japanese invigilators and we want to be based all over the world because blockchain technology is global. “We have to move in all the directions.” Bitcoin became a favourite topic of the mainstream media last year, leading many people to invest in cryptocurrencies as they followed the hype. But Sasha believes they are should look deeper into the technology. “My advice to the people who are more focused on the hype is it’s going to subside and probably it already has so don’t concentrate on that too much. “What you saw last summer probably won’t happen again because technology stays. Francisco Gimeno - BC Analyst Waves was one of the first Blockchain open access platforms and its team is launching Vostok, another Blockchain platform this time private, for enterprises which will need more control over it. I believe Vostok is where Sasha and his team will get now more profit, while developing also new products for the future testing them on Waves, kind of Ripple and XRP. The EU Blockchain Observatory and Forum has built a new interactive map to highlight Europe’s crypto ecosystem. The map points startups and events in the sector, helping make blockchain enterprise exploration easier. Companies on other continents can also be mapped on the platform. 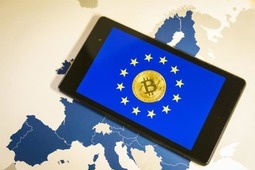 Europe’s premier blockchain organization, the EU Blockchain Observatory and Forum has built a new interactive cryptocurrency map for the continent. The map points out crypto companies and highlights related events in an area. It could help users find informationabout various startups and what they do. The map is open to users from around the world, who can filter results or mark startups in their respective continents. The interactive map marks crypto and blockchain companies and provides relevant details of their objectives, purpose, year of establishment, etc. It also displays the website and other important information about the company. Blockchain events will also be listed on the map for easy access to enthusiasts. Users can create filters in the search criteria to find companies or events in an area or find blockchain initiatives in a certain sector. The Observatory designed the map with Europe in mind. However, it welcomes global users to add companies and events from other continents too. Currently, only European entities are available. The agency warns users that the map is crowdsourced, but entries are reviewed before submission. Therefore, it will be vital for users to do their research before adding any companies. Every company submission takes 10 to 15 minutes, for which a user needs to fill a form. Event submissions are made through a separate form.The agency has been very active recently in educating citizens about blockchain and cryptocurrencies. Apart from several workshops, it also announced a 90-minute ‘Ask Me Anything (AMA)’ session on its website to answer questions related to the blockchain, its use cases and its future in the world. Decentralized data structure management technology (DDSM), such as blockchain and distributed ledger technology, is grabbing ever-increasing attention as a result of its potential to revolutionize the way we conduct business, run our governments and go about daily life. While cryptographic digital currencies, such as Bitcoin, have garnered significant hype more recently due to intense market volatility, DDSM technology offers much more. At its core, DDSM is a decentralized software-based and implemented system that openly manages vast amounts of data over the Internet thereby allowing ready access to verify the exchange of the data. Transactions are transparent, and once verified by consensus, are locked and virtually impossible to change. As a result of the technology’s transparency, consensus-based transaction confirmation process, and locking of blocks of data that cannot be changed, the potential for fraud and abuse is essentially eliminated. Inviolable property registries, which people may use to prove that they own their houses, cars, or other assets. Real-time, direct, bank-to-bank settlement of securities exchanges, which could unlock trillions of dollars in an interbank market that currently passes such transactions through dozens of specialized institutions in a process that takes two to seven days. Self-sovereign identities, which do not depend on a government or a company to assert a person’s ID. Decentralized computing, which supplants the corporate business of cloud computing and Web hosting with the processing power of ordinary users’ computers. Decentralized Internet of Things (IoT) transactions, where devices can securely communicate and transact with each other without the friction of an intermediary, making possible enormous advances in transportation and decentralized energy grids. Blockchain-based supply chains, in which suppliers use a common data platform to share information about their business processes to greatly improve accountability, efficiency and financing with the common purpose of producing a particular good. Decentralized media and content, which would empower musicians and artists to take charge of their digital content, knowing they can track and manage the use of their digital assets. The above use cases are not exhaustive, and we are only beginning to see the immense potential of DDSM technology. From an intellectual property perspective, since DDSM technology is essentially software-based—indeed, the protocols, logic and algorithms are in the code and the software runs openly over the Internet on countless networked computers and computer systems—is it patentable? To answer that question, a brief stroll down memory lane is in order.In Alice v. CLS Bank International, 573 U.S. __, 134 S.Ct. 2347 (2014), the U.S. Supreme Court unanimously held that claims directed to a computer-implemented technique of mitigating “settlement risk” in financial transactions were ineligible for patenting. The court clarified that a claim directed to an “abstract idea” is not eligible for patent protection when it “merely requires generic computer implementation”or “attempts to limit the use of [the idea] to a particular technological environment.” Citing its decision in Mayo Collaborative Services v. Prometheus Laboratories, 566 U.S. 66, 132 S.Ct. 1289 (2012), the court in Alice developed a two-part analysis directed toward patent eligible subject matter under Section 101 of the patent statute known as the “Alice/Mayo test. ” Notably, however, the Court in Alice declined to define “abstract idea,” leaving the matter to be resolved by the lower courts—in particular, the U.S. Court of Appeals for the Federal Circuit (the CAFC)—on a case-by-case basis. Section 101 defines patent eligible subject matter as “any new and useful process, machine, manufacture, or composition of matter, or any new and useful improvement thereof,” subject to the other limitations of the patent statute. Apart from the patent statute, the courts have created exceptions to the literal scope of Section 101: laws of nature, natural phenomena, and abstract ideas are not patentable. Under step one of the Alice/Mayo test, courts are first required to determine whether the claim at issue is “directed to” a judicial exception, such as an abstract idea. Mathematical formulas, for example, are a type of abstract idea. However, since “all inventions at some level embody, use, reflect, rest upon, or apply laws of nature, natural phenomena, or abstract ideas,” “the claims are considered in their entirety to ascertain whether their character as a whole is directed to excluded subject matter. ” If the claims are not directed to an abstract idea, the inquiry ends. If the claims are directed to an abstract idea, then the inquiry proceeds to the second step of the Alice/Mayo framework. 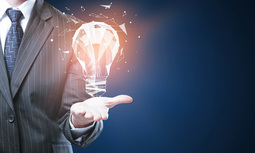 In step two of the Alice/Mayo test, courts are to consider whether the claims directed towards the abstract idea nonetheless contain an “inventive concept” sufficient to “transform the nature of the claim into a patent-eligible application. ” To do so, courts must examine both the claim as a whole and the individual claim elements to determine whether the claims contain “an element or combination of elements that is ‘sufficient to ensure that the patent in practice amounts to significantly more than a patent upon the [ineligible concept] itself. ’” The second step of the Alice/Mayo test is satisfied when the claim limitations “involve more than performance of ‘well-understood, routine, [and] conventional activities previously known to the industry. ’”Since Alice, the CAFC has tackled the issue of software patents and whether the claimed subject matter merely comprises abstract ideas or whether the methods and processes thereof comprise “significantly more” as required by Alice. While the CAFC has somewhat struggled with application of the Alice/Mayo test to software-based patents—and in large part, judicial outcomes by the court depend on the three judges comprising the panel hearing the case—the slow trend has been in favor of finding patent eligible subject matter. The CAFC has repeatedly held that inventions which are directed to improvements in the functioning and operation of a computer are patent eligible. In Enfish, the court determined that claims related to a database architecture that used a new, self-referential logical table were non-abstract because they focused on “an improvement to computer functionality itself, not on economic or other tasks for which a computer is used in its ordinary capacity. ”Indeed, the self-referential database found patent eligible in Enfish did more than allow computers to perform familiar tasks with greater speed and efficiency; it actually permitted users to launch and construct databases in a new way. Moreover, in Finjan v. Blue Coat Systems, the CAFC found that the method claims employ a new kind of file that enables a computer security system to scan for suspicious behavior in a new manner; the “asserted claims are therefore directed to a non-abstract improvement in computer functionality, rather than the abstract idea of computer security writ large. ”Given the enormous potential of DDSM, the race to patent specific applications of the technology is on—and the USPTO has obliged. In September 2016, it was reported that the USPTO had issued at least 92 patents relating to cryptocurrency and fintech blockchain technologies. Hundreds of additional applications are pending and many have been published for public review. 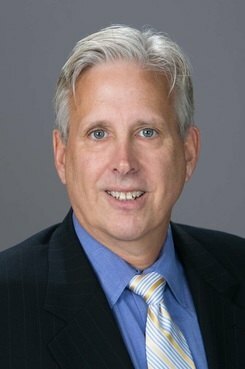 There can be no doubt that at the agency level, the USPTO recognizes that DDSM technology is indeed patent eligible subject matter.In a general sense, DDSM is “significantly more” than the mere computerization of “abstract ideas. ” Indeed, what makes the technology possible is that it can only be implemented via software-based protocols over a global network comprising hundreds of thousands (perhaps millions) of computers each performing the complex calculations necessary to create a decentralized data structure system that can be trusted. The decentralized data network—without a controlling intermediary—is simply not possible without software, computers and network implementation. The technology elevates the Internet to what many have now described as Web 3.0.Moreover, DDSM technology is a far cry from taking already existing human activities and merely digitizing them via software to run on a generic computer. As noted, the second step of the Alice/Mayo test is satisfied when the claim limitations “involve more than performance of ‘well-understood, routine, [and] conventional activities previously known to the industry.’” DDSM technology is anything but routine and conventional, albeit initial platforms and applications of the technology are now already several years old. Yet, the technology is evolving rapidly—very rapidly. As with the self-referential logical tables in Enfish, DDSM is permitting users to construct and launch decentralized data structures and conduct transactions in new and different ways, heretofore unavailable to civilization.Underlying, almost silently, in both Enfish and Finjan is the fact that both technologies were new—new ways of conducting certain processes. In Enfish, the self-referential logical tables comprised new technological ways of creating and using database structures. In Finjan, the security system scan comprised a new technological way of detecting malicious behavior as opposed to existing prior art methods that relied upon already detected and known malware profiles. While novelty is a matter of Section 102 of the patent statute, one cannot ignore the subtle reliance on novelty by the courts in their analyses of issues pertaining to Section 101 patent eligible subject matter. Eventually, the CAFC will hear an appeal questioning the patentability of an application involving DDSM technology. In light of the jurisprudence developed under the Alice/Mayoframework, there is no reason to expect that the CAFC will treat the matter any different than previously considered software-based patents. Richard A. Catalina Jr. is a partner in the Princeton, New Jersey, office of Hill Wallack. He is the partner in charge of the firm’s intellectual property practice group and is a member of the life sciences practice group. 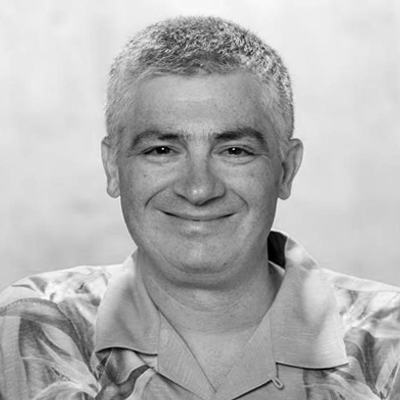 Francisco Gimeno - BC Analyst We have read very few articles on Blockchain technology and products from the legal point of view, in this cases about DDSM's patents. Some #Blockchain enthusiasts tend to forget the practical things about the technology use in real life, as they (we!) are involved in the Blockchain revolution and paradigm's change. But these legal reflections are very important, and are to going to be even more in the next future when more and more DDSM's products and use cases develop. Much has been written on blockchain recently, even in legal. We continue our series with Mark Oblad, VP, Legal and Finance at JW Player, who has coded a number of tools for automating transactions. Last time we talked about open source and industry source of information for contracts here. This time, we look first at smart contracts. 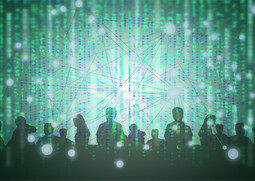 The concept of the “smart contract” has taken hold and is becoming increasingly the focus of legal technology groups, such as the Computable Contracts Initiative at Stanford Law School’s CodeX, Cardozo Law School’s Tech Startup Clinic, New York Law School’s Center for Business and Financial Law, law.MIT.edu, and Computational Legal Studies. Mary: What is a smart contract? Mark: The principal aim of the smart contract is a tamper-proof, unambiguous, computable contractual relationship whose payout (or other outcome) automatically occurs after some pre-specified event and that once started cannot be stopped, even by injunction.The concept of an automated contract is not new. An option to purchase IBM stock at $100 on December 1 will result in an automatic payout on the contract calculated on the actual trading price of the stock on that date, is automated, but not novel. What is new and interesting with smart contracts is the attempt to generalize the concept for a wider class of contracts and to use a newer set of technologies, such as decentralized blockchains and oracles, to strictly enforce the contracts. Mary: Okay, what is the blockchain? Mark: The blockchain in itself is a very promising set of technologies. In very broad strokes, the blockchain is a growing sequential list of data entries that is available for anyone to copy and maintain (i.e., redundant and distributed). The patterns and computational rules for adding new entries to the list allow anyone running the software to update the list quickly and openly, with efficient and immediate mechanisms for resolving conflicting updates. Mary: So, blockchain can eliminate the need for regular currency. How does it work? Mark: The data entries in the various blockchains range from transfer and ownership information of cryptocurrencies such as Bitcoin, to “Hello World” statements by developers playing around. Another example more relevant to contracts generally is to enter the hash or digest of a contract into a small data section (OP_RETURN) of a non-spendable transaction and then record the transaction in the Bitcoin blockchain. In my continuing practice to assist businesses in their quest to implement blockchain capabilities and convert from traditional operating models to blockchain based operating models, it is clear that there are enormous legal and relationship implications to projects and businesses being built on blockchain. I'm not talking about regulatory compliance, ICO's, Smart Contracts or any of the most common discussions of legality, but the form and legal structures to cover corporate relationship implications to a traditionally centralized business that is trying to develop or co-develop a solution, protect revenue share, etc. while building a blockchain business. These basic concepts, concepts that in the traditional centralized model are all understood and commonly implemented, are pretty much turned on their heads in the blockchain world.To get a better understanding of the more problematic areas, let's take a look at a few of them and their impacts. There is a tremendous amount of thinking and publication on Smart Contracts and how individuals or peers in a peer-to-peer ecosystem can work together to build, implement and protects their concerns in a blockchain business. This thinking, however, does leave on the table the problems that traditional centralized business will face when redesigning their businesses to operating in a decentralized world. Let's not discuss, for now, the business operating model challenges in these businesses, but just the legal implications. When taking on blockchain initiatives, many in our economy are used to collaborating with other business partners to "get the job done". This is a trait that is normal and required in a centralized world. Centralised companies are compelled to, and frequently work with, other centralized companies to build the ecosystem required to deliver value in the traditional corporate value chains. These efforts result in partnership agreements and other legal operating entities that outline responsibilities, revenue share, IP ownership etc. The image below from the Raconteur's excellent article on "The Future of blockchain in 8 charts" outlines a great example of the fundamentale relationship difference between the corporate structure diametric corporate structures and therefore legal considerations required under traditional vs blockchain implementations. If you are practiced in corporate legal relationships, the above diagram, without any read on the article itself, highlights the challenges faced when moving to a blockchain model. Legal contracts, whose job it is to enforce terms of an agreed upon relationship between parties, is significantly different in a distributed operating model. Let's assume you overcome the conversion of your model from one to two above and build an operating model that your business can work with, you'll then be faced with the issues outlined below. Moving entities from a centralized to a peer-to-peer model involves making a decision about who owns what in the ecosystem. That is, in a centralized model, it's easy, each party owns the piece of the work chain they perform. True development collaboration is rare and joint partnerships worrying about who spent and did what to get "their fair share" is uncommon.In a decentralized model, where there are inevitably multiple parties trying to reinvent themselves to this new model, IP rights is a frequent point of contention and misunderstanding. Current corporate entities just can't fathom this shift and frequently run against the rocks at this point alone. Like the advent of the Internet, many are struggling to understand how to make money and be profitable in the blockchain era. That is understandable. The operating models are so different and the processes to perform the tasks so much lighter, that traditional companies struggle to understand the monetary dynamics of business in the blockchain era. Their traditional business models just don't apply nor do they convert, let alone the overhead centralized companies are carrying in their traditional models. This part of the business design requires a lot of work on the part of the evolving company. A piece of advice, if your blockchain business model is trying to operate within the walls of your traditional centralized model, it will die a miserable death. A piece of advice, if your blockchain business model is trying to operate within the walls of your traditional centralized model, it will die a miserable death. The issue of corporate transition is a line of thought and planning all on its own, and although we won't go into detail here, do model your effort after companies that separate their innovation initiatives outside the walls of their traditional ecosystem. If you want your blockchain business to be successful, this is a must. The two just can't stand together. One must evolve on its own into the future while the traditional dissolves away as the market shifts.Ultimately, understanding a multi-party revenue model will require you to think more on the lines of the right side of the image above than the traditional left side and traditional "value chain" model you are used to. Business structures attempting to be formed around a number of the more common blockchain use cases being discussed these days are especially problematic. That is, how do existing players converting from one model to the other move them solves from a value-chain, centralized model to a peer-to-peer model in which trust, terms, etc are executed and enforced through autonomous code. 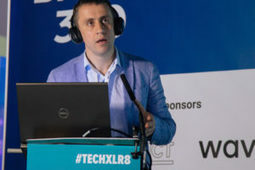 Additionally, with the reality of autonomous solutions deploying contract code to perform services, much of which is open source in the current state of evolution, how will these businesses react to their business models being consumed by open source, autonomous solutions that eliminate the need for their value add in this new peer-to-peer world? The obvious answer for the proprietary solutions is to be a tax on the transaction stream. That is, if you can find a way to take a piece of the transaction, that's great. I certainly see this in the advent of bots that are executing and providing services, for example, for the execution of legal contracts, document management, and ownership management just to name a few. But even these capabilities are subject to consumption by cost-free, open source solutions in the way that companies like Google were chastised in the heyday of the Internet for apparently giving away their services for free. As we now know, in reality, these companies were building a model that others couldn't comprehend; resulting in Google being number five in the top profitable companies in the US this year. Autonomous solutions create a special operational and structural challenge for organizations that are used to operating as a cog in the wheel of corporate value and supply chains and require significant business design considerations in their adoption in this new trusted ecosystem. The issues mentioned above are but a few of the challenges and changes that will need to be managed and controlled as centralized organizations evolve. These challenges are of a nature that has not been seen with other technology enabled market changes and therefore, make it a substantial challenge for organizations working to understand how to survive through this upcoming market shift. Francisco Gimeno - BC Analyst As the new ecosystem based on blockchain arrives slow changing business and those who don't see the need to change will dissappear. Bold businesspeople who are ready to change the foundations of their enterprises towards adaptation to the new ecosystem will have to live in "interesting times" but their reward will be not just survival but success. Everything in business is touched by Blockchain. I contend that blockchain technology is going to disrupt many businesses and industries and the legal profession just might be next. Although there are many appealing characteristics of blockchain technology for lawyers, perhaps the best one of all is that it can secure information in an immutable and transparent ledger. Blockchain technology is on pace to revolutionize the legal industry and many predict it will become as ubiquitous as the internet is today.What is blockchain technology? Blockchain is a comprehensive, up-to-date (real-time) ledger of anything that can be recorded from financial transactions to ownership of physical assets stored in a distributed, peer-to-peer fashion. Every record is encrypted and time stamped. Only users can edit the part of the blockchain that they “own” and they gain access to the file only because they have a private key that allows them to. It also ensures that everyone’s copy of the distributed blockchain is kept in sync. There are many different blockchains—public and private—and they allow anyone to send value anywhere in the world where the blockchain file can be accessed. Blockchain technology has solid and effective security and has been described as “hackproof. ” Unfortunately, nothing really is fully hackproof, but blockchain technology is more secure than our current technology and should reduce the risk of breaches. How blockchain will impact the legal professionEven though widescale adoption hasn’t happened yet, there are proof-of-concept projects taking place in nearly every industry. Law firms need to know about this technology so they can be poised to guide and serve clients within the new blockchain reality in addition to altering their law firms to address the new blockchain reality. Client advisorsIf it hasn’t happened already, it surely will. Clients in all kinds of industries from publishing to music to healthcare are attempting to navigate the realities that blockchain technology opens up for their businesses in terms of law, regulation and policies. Law firms that position themselves as blockchain experts will be relied upon by other businesses for guidance and support. No matter what area of law you practice, expect that your clients will soon bring you questions related to blockchain technology.Contracts and smart contracts Blockchains are capable of storing any kind of digital information including computer code. It’s possible to create a contract that can automatically generate based on when certain variables are achieved without any human legal intervention. Once these are in wide use they will be what is defended in a court of law. Expect that contract doctrine will evolve and may look very different than the paper contracts and protocols that are used today. Additionally, since contracts can be self-executing there will be changes to intermediary jobs and roles that typically help to review contracts and execute them when all requirements are filled. Particularly in developing countries, it’s challenging to keep track of who owns which land deeds. Blockchain clears up the confusion with a public blockchain ledger that is easily verified. All parties involved from the government to the land owners would access the same information to see who owns what and the date ownership switched hands.